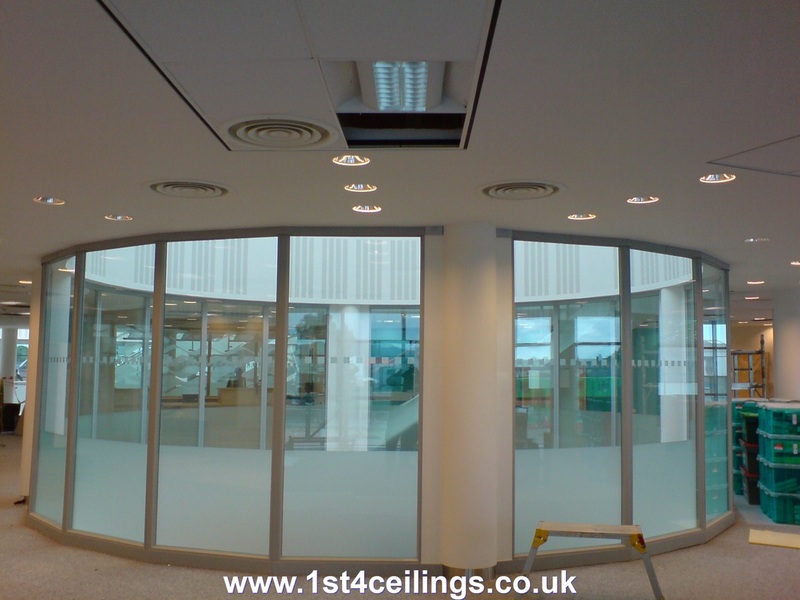 When considering a Suspended ceiling design for office ceiling tiles, tongue and groove ceiling panels can be used as replacement ceiling tiles, you can incorporate mdf ceiling panels into a plasterboard ceiling although we prefer to use a ceiling access panel in cases that require accessibility. False ceiling tiles can be Armstrong suspended ceiling, acoustic panels can be specified to achieve most ratings with using decorative tegular ceiling tiles or square edge, 600x600, 600x1200 are the most popular sizes specified for shops, office, commercial and industrial situations. 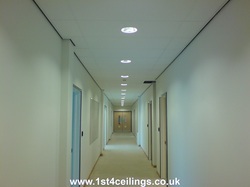 We can be your suspended ceiling tile suppliers for replacement ceiling tiles from all the major ceiling grid manufactures not just Armstrong products, our range of stock incorporates metal ceiling tiles in both square edge and beveled, perforated tin ceiling tiles are mostly used as insulated ceiling tiles with a plastic covered insulation material pad sat in the tile, these pads can be of different thermal values to suit most needs. 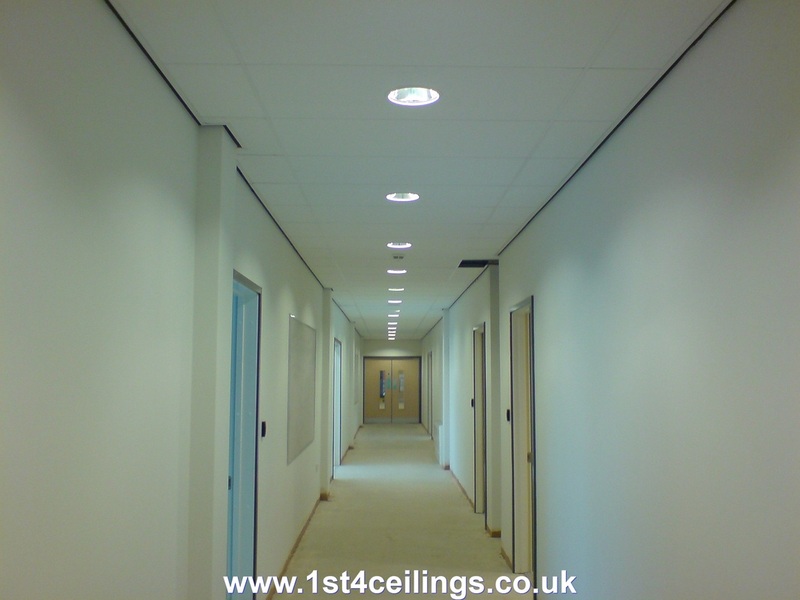 Dune ceiling tiles a popular choice and can ordered in certain colours to accommodate your design theme such as black ceiling tiles with a white grid or alternatively white panels and red, green indeed or most colours of grid. 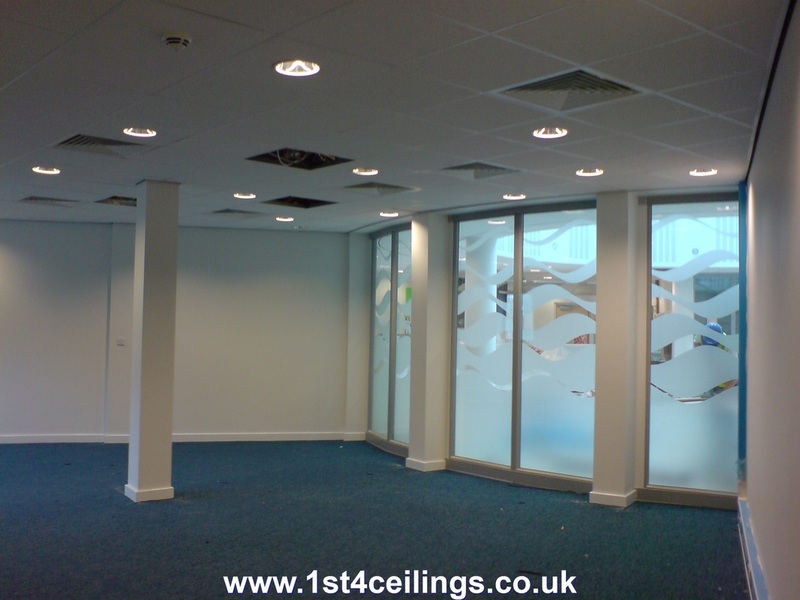 I suppose really what we are saying is that the versatility of drop ceiling tiles while not endless is certainly quite easily adapted to many kinds of design for almost any building ie. 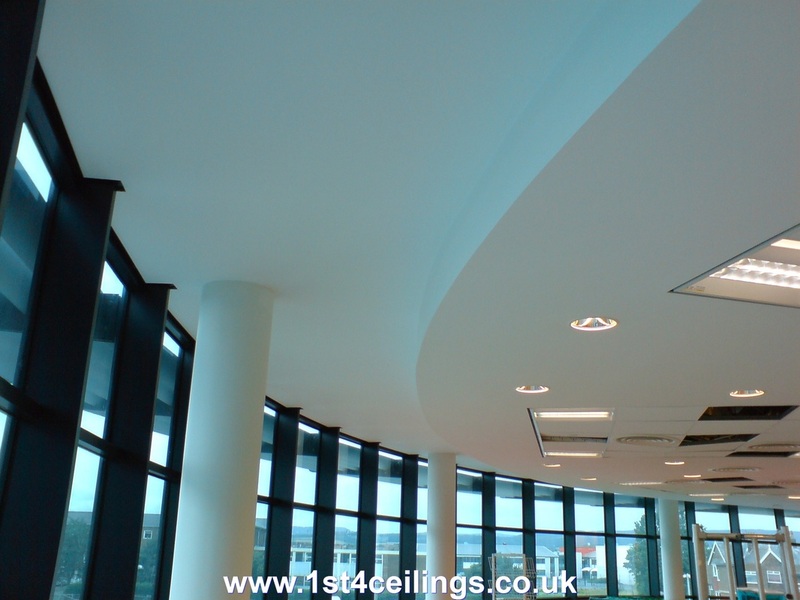 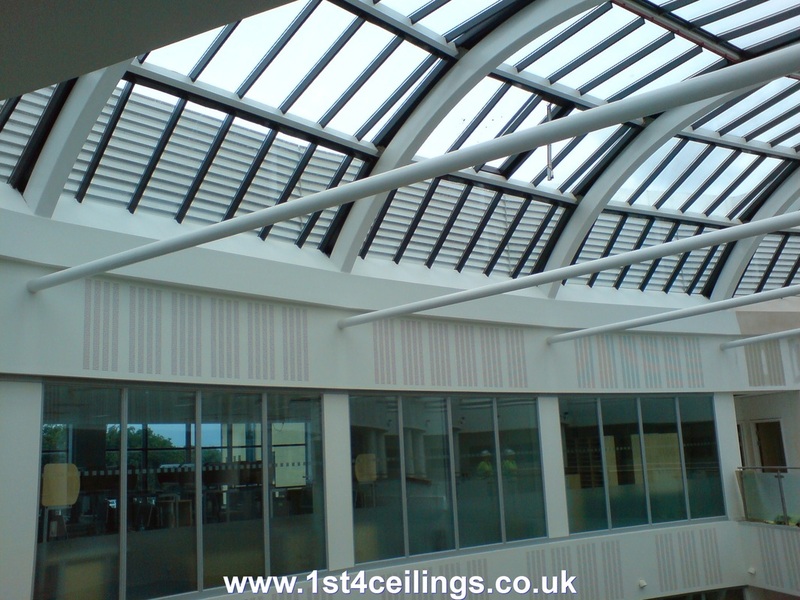 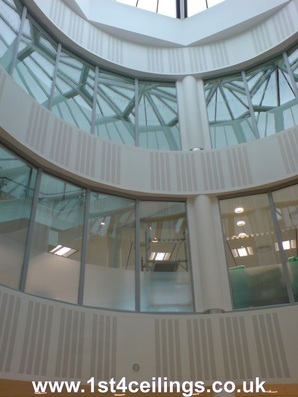 Schools, hospitals, churches, open plan office fit outs, factory canteens and so on. As mentioned above incorporating insulated suspended ceiling and tiles within your project is an excellent idea and will not just act as acoustics but will additionally save loss of heat throughout the building, when mineral fiber ceiling tiles are specified you can lay insulation roll over the top in place of the bagged insulation pads we talked of above. 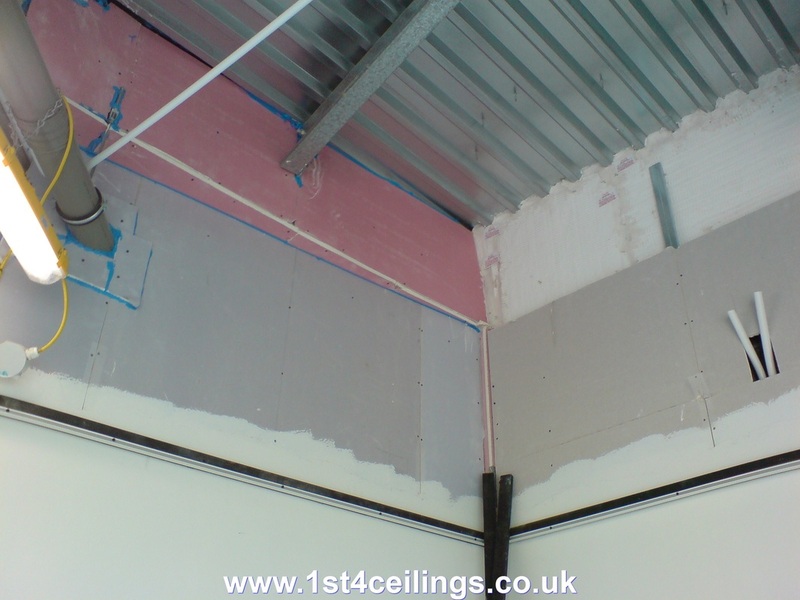 This glass wool or fibre glass soundproofing ceiling material can be thickness’s from 50mm, 100mm, 150mm, 200mm or combinations of these to achieve almost any level of thermal insulation you want, they come in 2x2 (600 x 600mm) 2x4 (600 x 1200mm) widths and various lengths. 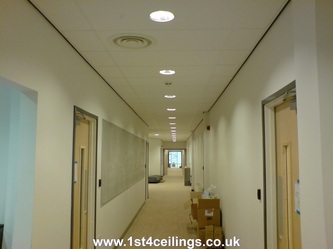 Suspended ceiling tile manufacturers such as AMF, Armstrong, CEP, Echphon, OWA, Rockfon, Treetex, USG or for metal tile systems along with Armstrong we have Burgess, SAS International and Luxalon, in the case of open cell tile system you can look to Armstrong again, SAS International and Luxalon also have open cell ceiling systems on offer. 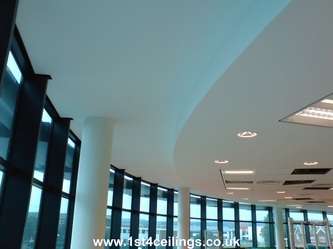 For plasterboard suspended ceiling tiling solutions we would think British Gypsum and CEP, when the specified requirements are for mf plasterboard systems, dry lining and partitioning then you have to include Artex, British Gypsum, Expemet, Fermacell, Knauf Drywall, Lafarge Plasterboard, Promat and Tradeline. 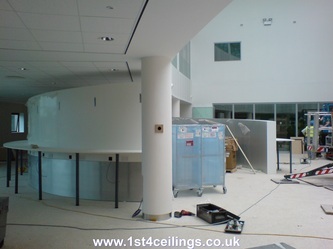 Types of plasterboards available for different usages are from basic wallboards such as gyproc wallboard, fireline, duplex, mr, firecase, multiboard and tilebacker, moisture resistant boards, core boards, hard impact duraline boards, handiboard, plank, soundbloc, rapid, thermaline, pir, basic, plus, super and triline, 4te, ten and rigidur h and thats all just from British Gypsum the other suspended ceiling manufacturers have variants on the same boards. We also carry plasterboard and accessories, Glasroc, performance boards, dry core partitioning, thermal laminates, metal components, plasters, decorative products, access panels, tools, fixings and accessories. 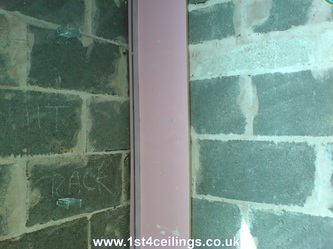 Thermal Economics, Web Dynamics, Xtratherm, with products such as Glasswool insulation, Rockfibre insulation, Rigid insulation boards, High performance boards, Building paper and polythene sheeting, Fire barrier systems, Insulation sundries, Multi foils, Acoustic Insulation, Natural Sustainable Insulation, Polystyrene and XPS. Partitioning can be from a multitude of manufacturers both British and European and in some cases they are specified from around the world for specific sector requirements. 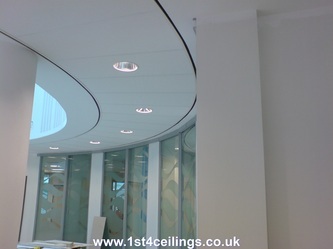 Board suspended ceilg tile and panel sizes varies in thickness width and length, thicknesses can be 5mm, 6mm, 7mm, 8mm, 9mm, 10mm, 12.5mm, 15mm, 18mm, 19mm, 20mm, 22mm, 25mm, while widths and lengths can come in sizes from 300x900, 600x1200, 600x1800, 600x2400, 600x 3000, 900x1800, 1200x1200, 1200x1800, 1200x2000, 1200x2400, 1200x3000, 1200x3600. 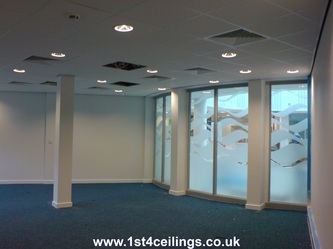 Demountable glass screens are very versatile can incorporate glass doors sliding or hinged and for a lot less cost are movable when plans change (as is so often the case) in department stores, shops, schools and industrial situations and can have a suspended ceiling incorporated in a room built this way. 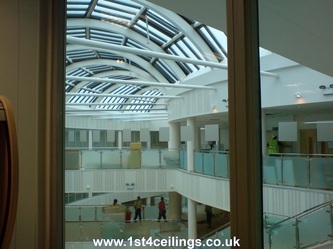 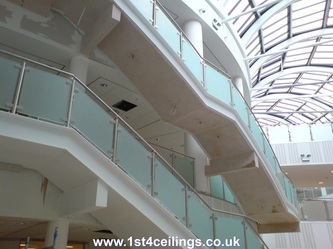 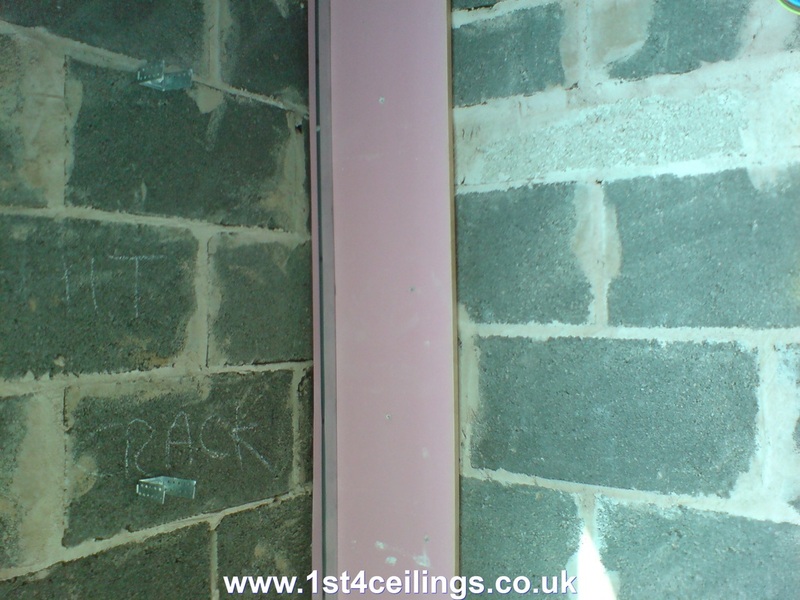 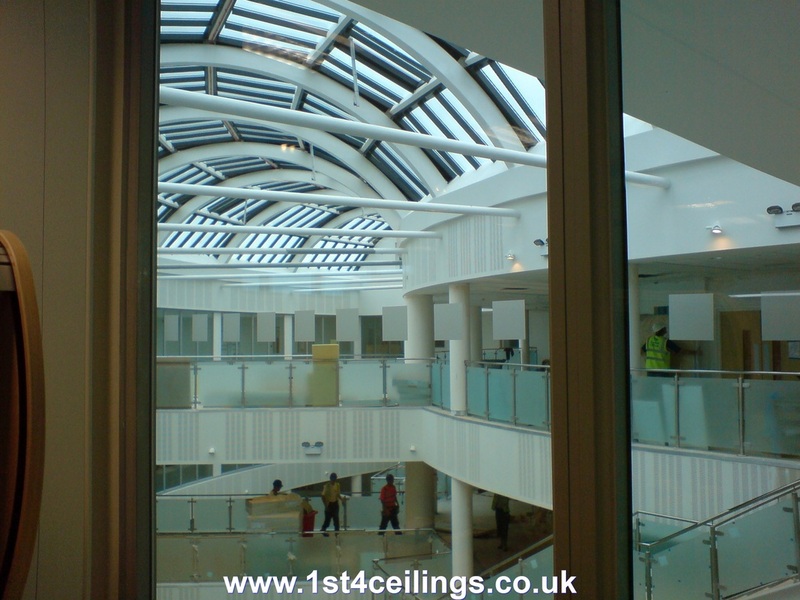 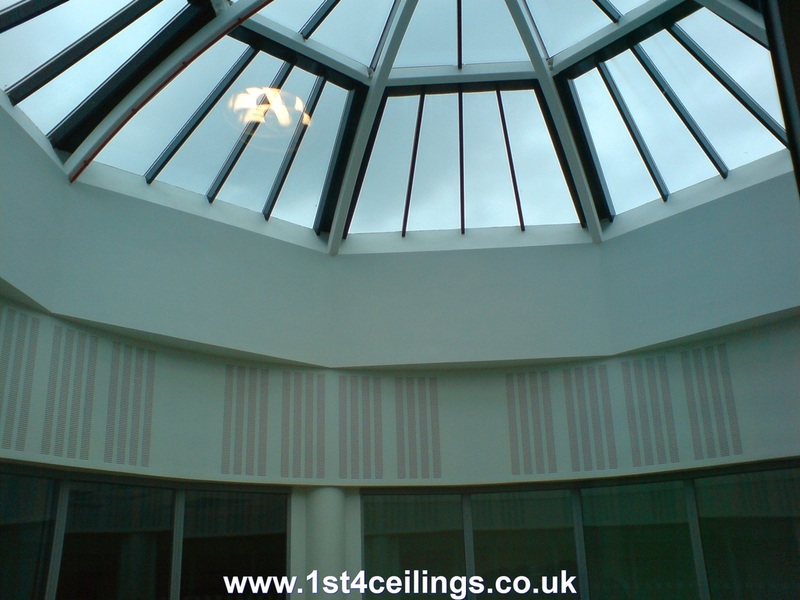 The fixing of these partition walls and plaster suspended ceiling systems can be done with an enormous array of screws starting with 12.5mm tec screws and then 25mm drywall screws are the biggest seller as the will usually be used on all boards as either first layer fixing screws or finishing screws, next are the 38mm, 42mm, 50mm, 75mm and even jumbo 100mm, all the longer screw fixings are for securing multi layers of different boards on both ceilings and walls.